Map of expressways in Luzon showing the Tarlac-Pangasinan-La Union Expressway in red. Image courtesy of Mike Gonzalez (TheCoffee). 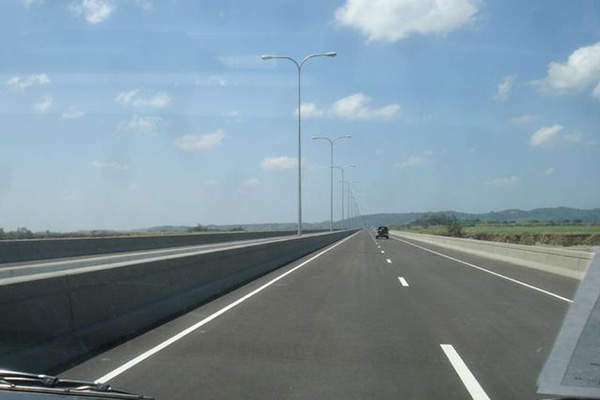 The Tarlac City to Gerona section one A was opened for public in October 2013. Image courtesy of Department of Transportation and Communications Republic of the Philippines. 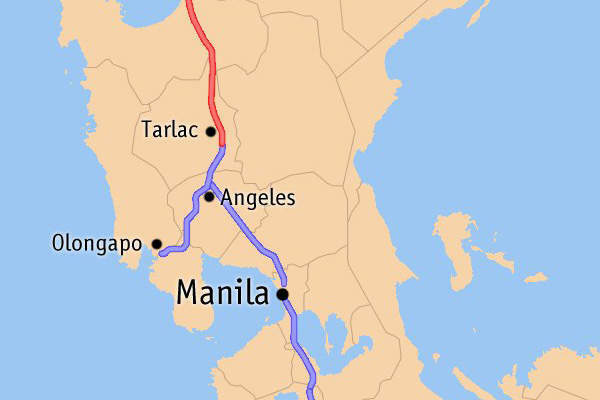 The TPLEX expressway will be connected to the Subic-Clark-Tarlac Expressway. Image courtesy of JeepCruizerPH. Tarlac-Pangasinan-La Union Expressway (TPLEX) is a four-lane expressway under construction in the Manila region of Philippines. The 88.5km expressway will start from the southern terminal in Tarlac City and end at the northern terminal at Rosario in La Union. The project is being implemented on build-operate-transfer (BOT) basis by Private Infra Dev Corporation (PIDC), and is expected to generate about 12,000 jobs during construction. Officially known as Radial Road 3, the South Luzon Expressway (SLEX) or South Superhighway (SSH) is consists of two expressways connecting Metro Manila to the Calabarzon region in the Philippines. A memorandum of agreement (MOA) was signed between the Bases Conversion Development Corporation (BCDA), the Department of Public Works and Highways (DPWH) and the PIDC in April 2012, for the construction of an envisioned connector road. The new 700m long road will serve as a link connecting the SCTEX to the TPLEX. The new expressway will reduce the commuting travel time between Tarlac to Rosales to just one hour. It will also be connected to the North Luzon Expressway (NLEX) and the Subic-Clark-Tarlac Expressway (SCTEX). The Philippines Toll Regulatory Board (TRB) granted toll operation permit on the expressway in October 2013. The P23.8bn ($536.4m) project will be financed through Public-Private Partnership (PPP) mode by the Development Bank of the Philippines and Land Bank of the Philippines. BDO Unibank (BDO) has provided P11.5bn ($259.18m) loan for the project, while the Government of Philippines will provide P3.7bn ($83.39m). The TPLEX is divided into three different sections. Section 1 will run from Tarlac City to Rosales for a length of 48.7km. 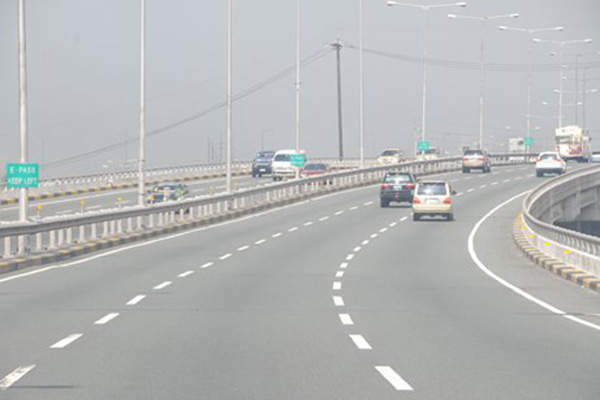 It will comprise four lanes and will be divided into five sub sections including Tarlac-Victoria (9.2km), Victoria-Gerona (7.75km), Gerona-Paniqui (5.7km), Paniqui-Moncada (6.15km) and Moncada- Carmen (19.9km). "Section three will run from Urdaneta to Rosario, and will be 30.41km long." Section two covers the Agno viaduct, and will be 9.47km long and will connect Rosales to Urdaneta via four lanes. Section three will run from Urdaneta to Rosario, and will be 30.41km long, featuring four lanes. It will be divided into two sub sections including Urdaneta-Pozzorubio (14.83km) and Pozzorubio- Roasario (15.58km). The asphalt concrete paved expressway will run parallel to MacArthur Highway and will have a right-of-way (ROW) width of 60m. It will pass through the municipalities of Victoria, Gerona, Paniqui, Moncada and San Manuel in Tarlac; Carmen, Urdaneta, Binalonan, Pozzorubio and Sison in Pangasinan; and Rosario in La Union. A central median on the expressway will separate the traffic moving in opposite directions. The speed limit will be 40km/h for two wheelers, 45km/h for buses and light trucks, and 60km/h for heavy trucks. The expressway is being constructed in two phases. Phase one will include the construction of a two-lane expressway, 63 underpasses, 23 viaducts, 12 bridges, eight interchanges, two central toll plazas, and one toll operations centre building. "The Tarlac City-Gerona-Paniqui section was opened in December 2013." Phase two will expand the two-lane expressway into four-lanes enabling the TPLEX to manage 25,000 vehicles per day. Construction of the expressway was started in January 2010. The 17km Tarlac City to Gerona section one A was opened for public in October 2013. The Tarlac City-Gerona-Paniqui section was opened in December 2013. Construction of section 2 commenced in March 2013 and is scheduled for completion by April 2014, while section 3 is expected to be completed by 2015. The PIDC consortium, led by San Miguel Corp (SMC), also includes D.M. Consunji, First Balfour, EEI Corporation, C.M. Pancho Construction, R.D. Policarpio & Co., D.M. Wenceslao & Associates, J.V. Angeles Construction, J.E. Manalo & Co., New Kanlaon Construction, and Rockford Development. PIDC is responsible for the design, construction, financing and operation of the expressway. "Asia Halcrow was selected to perform traffic studies." Filipinas Dravo Corporation is the design consultant, DCCD Corporation is the supervision consultant, and Asia Halcrow was selected to perform traffic studies. A 35-year toll concession agreement for the expressway was signed between the Government of Philippines and the PIDC. The agreement includes a construction period of five years and an operation and maintenance period of 30 years. The agreement can be extended for another 15 years. SMC constructed the toll road of the expressway. DPWH will manage the civil works of the expressway and will also be responsible for the acquisition of the ROW. Contracts for the construction of sections one and two were awarded in 2010 and 2011 respectively.